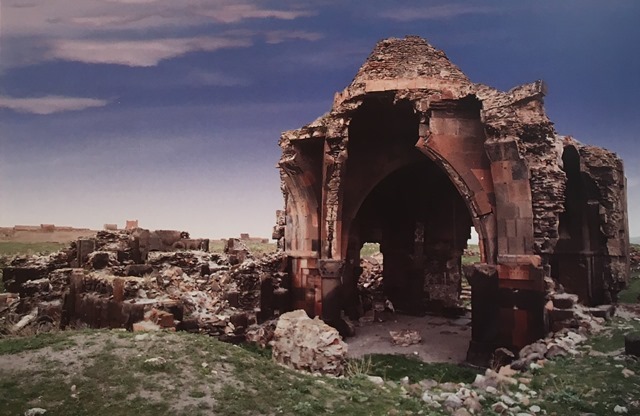 The Ani Han was built in the beginning of the 12th century and is located in the ruins of the city of Ani, near Kars. It is one of the most important buildings of the city. It has a rectangular plan and an elaborate crown door. Karpuz, Haşim. & Kuş, A. & Dıvarcı, I. & Şimşek, F. Anadolu Selçuklu Eserleri, 2008, v.1, p. 416.